I've had some fun this morning creating some cards for two challenges that are on the Moxie Fab World blog at the moment. My second card is for The Chevron Challenge. 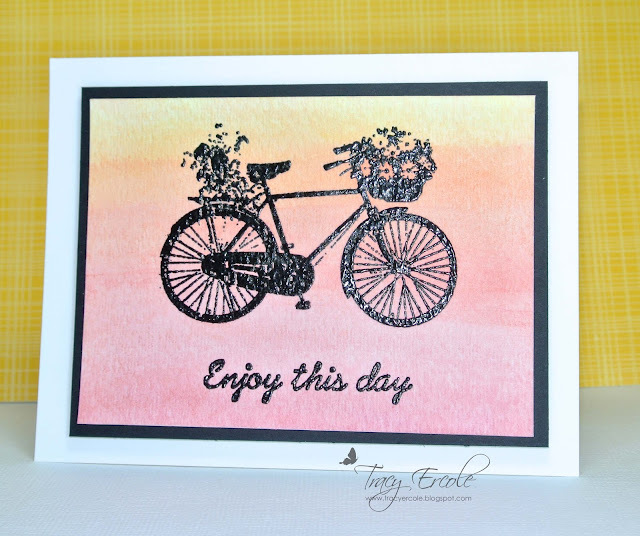 I stamp The Alley Way Stamps chevron stamp from the Background Basic set ( I love, love this set), in Red Royal mid-tone ink from Hero Arts. I did some more heat embossing, stamping the Family Tree set from Unity Stamp in black ZING and the sentiment from Simon Says Stamp set Banner Sayings in white ZING. Better get back to the craft desk while I can, have a great day! 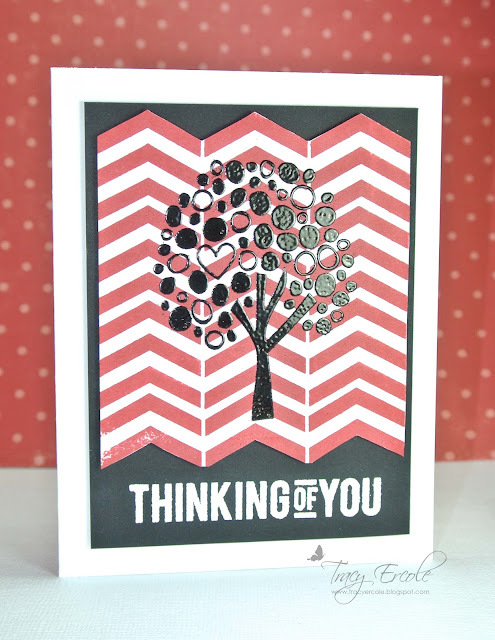 wow fabulous embossing... love these cards..
Tracy both of your cards are just fabulous! I just love the black embossing.